Gentoo Forums :: View topic - how do you install starcraft with wine? how do you install starcraft with wine? Posted: Wed Aug 02, 2017 11:16 am Post subject: how do you install starcraft with wine? now that starcraft is free, i would like to install it, for the purpose of just getting a game to run under wine for once in my life. i was never able to do it. So what are the exact steps? its "gold" , it should work. i just don't know how. don't understand the gaming stuff for wine. 1.Use latest stable version of wine from portage. 2.Be sure to have 32bit version of gnutls if you are amd64. No other special tricks needed. What USE flags did you guys use? I've unmasked app-emulation/wine-9999, and have WINE_COMMIT="wine-2.19" exported. Steam works fine for me, and Civ 4 launches, but Zoom in/out doesn't work (screen goes black, comes back after a few seconds). 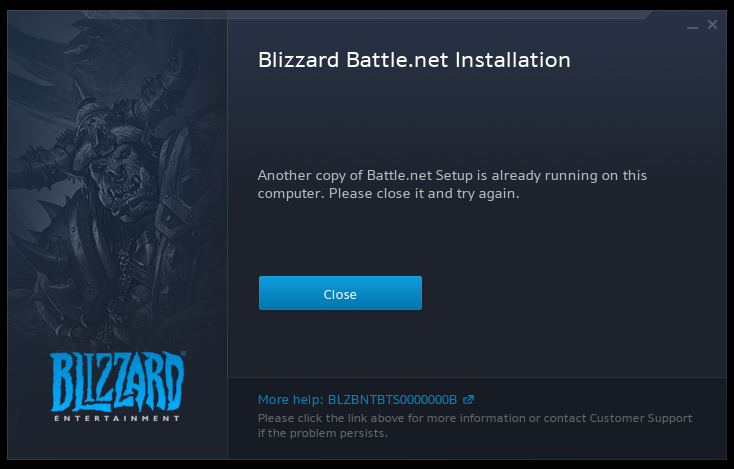 The Battle.net launcher doesn't start correctly after installing correctly. Seems like wine might be missing some dependencies, but emerge --update --newuse --deep --with-bdeps=y @world works fine. I had to use wine-staging-2.18, with these USE flags: "X alsa cups dos fontconfig gecko gphoto2 gsm gstreamer jpeg lcms ldap mono mp3 ncurses netapi nls opencl opengl osmesa pcap perl pipelight png prelink pulseaudio realtime run-exes s3tc samba scanner (staging) themes threads truetype udev udisks v4l vaapi xcomposite xinerama xml." I can't login to the blizzard agent, but I can install/start SC2/1 and login from the game using my battle.net username/password and authenticator. This is on 64-bit, with ABI_X86="32 64 (-x32)"
I had some issues when installing StarCraft 2 using wine a few days ago, but I managed to get it to run. I'd like to share my solution, maybe it helps someone else. Graphics device is not available at this time. If the problem persists, for more information consult our support website at http://starcraft2.com/support. Is there any way I can download a full version of starcraft-1.18 (and broodwar) from an official source? I'd like to improve my starcraft-1.15 ebuild, to provide a perfect user experience. I got this error trying to install dune2000 from gruntsmod. Maybe this is why stacraft won't work either? I am using a tiling window manager, maybe it doesn't understand window hints? Starcraft is fully free and up to date through the battle.net app. How does that help Linux users? Apps are for mobiles, and Wine doesn't handle those. This download method is hardly usable by ebuild. From this site, I found the latest version of starcraft is 1.21, patch seems ready. Can I find starcraft-1.0 somewhere on the internet legally? i thought we had to use wine-vanilla, what's wine-staging? Staging has a lot of patches not yet accepted to Vanilla, which sometimes means better performance, fixes, workarounds, or/and regressions. I can imagine this could be due to a process having been left behind from a previous run. Using something like 'wineserver -k' should get rid of them, but I'd make sure by checking the running processes and looking for Wine things and stuff. There's a /lot/ of things that can go wrong when running things via Wine as root, and from what I've seen, it's more often causing more issues than fixing any. One of the classics is when permissions under a user's Wine prefix become root-only, and the user is then getting more or less weird errors as a result. I know you mentioned it's for testing, but even so. If things are not working as a regular user, something is amiss. Depending on the permissions and mount options set for '/tmp', I can imagine that having a chance of resulting in weirdness as well. When trouble-shooting issues, I would recommend running things as they're expected to be run, as a regular user, using a clean prefix in the default prefix location ('/home/user/.wine') to reduce the amount of branching in the dialogue... so to speak. Last I tried, the Battle.net launcher worked fine for me. I don't regularly use it though, so I'd need to re-test (soon™). i set DISPLAY=":0.0" and i'm getting err:winediag:nodrv_CreateWindow Make sure that your X server is running and that $DISPLAY is set correctly. now i'm getting the same fail as running it as root. At this point, i am upgrading to wine-staging-9999 from wine-staging-3.7 since i am out of ideas. There normally should be no need to fiddle with "$DISPLAY" or 'xhost' like this. Did you add said user to the 'video' group? In other words, what does the command 'groups' return for that user? As a quick test, try running xmessage 'Works' from the same shell where Wine fails to create a window. If your X11 configuration is in order (and you have xmessage installed), you will get a small pop-up on screen with the text Works. Otherwise, you will get an error. Debug this error first, then go back to dealing with the far more complicated problem of making Wine use the display. I just tested the game locally, and it works here, using Wine Staging 3.7 without any workarounds. Using Wine Vanilla 3.7 at this point; Staging should work too. Create a new Wine prefix for the test (used the default, WoW64 set up meaning both, 64-bit and 32-bit software are supported). Run the 'StarCraft-Setup.exe' and let it install Battle.net and Starcraft. Launch the game, which fails with 'err:module:attach_dlls "ClientSdk.dll" failed to initialize, aborting'. Switch to Wine Staging 3.7 and launch the game. Like this? Will edit this response as commands generate output. Gah Starcraft used to work. These days nouveau driver is too slow (actually not for SC1 but for viewing movies). nvidia driver can't run natively in 256 color. wine doesn't make a special case for legacy cards, xyphyr and xnest don't handle these cases. Getting SC to work on an old computer is plain crazy hard. nvidia is to blame imo. for bad legacy drivers on laptops with flat panels. Heck maybe I should try nouveau again, maybe they managed to speed legacy up or maybe I missed a USE flag in earlier builds. At least I made a setup to swich between nvidia and nouveau by kernel name.